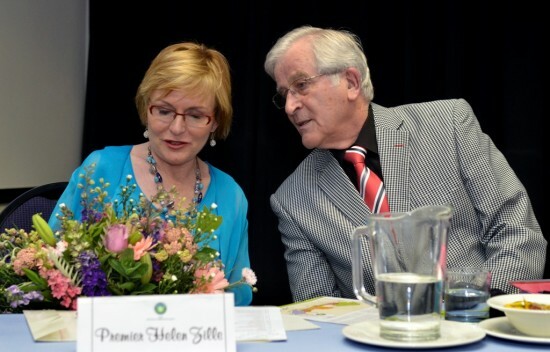 Premier Helen Zille praised the successful cooperation between the local community and police in tackling crime and homelessness and generating jobs, at the Groote Schuur Community Improvement District (GSCID) Report Back Function, held in Rondebosch, on Monday evening. City Improvement districts, according to Zille, are the catalysts which bring communities together to reduce crime, assist the homeless and attract businesses which provide jobs. Investment can only take place in a safe and clean environment. At the meeting Zille praised GSCID CEO, Anthony Davies for the significant improvements to the area which could be directly attributed to the formation of the GSCID. She said she was impressed that significant new business had been attracted to the area as a result of the reduction in crime and homelessness. “It’s through working together as communities that we get results that translate into a better life for all, ” she said, complimenting the University of Cape Town for their moral and financial support of the GSCID. The meeting gave invited members of the community a chance to hear how the GSCID has made significant progress in the fight against crime and the vagrant situation in the local area. These operations have been funded by levies paid by commercial and UCT properties within the GSCID boundaries along Main Road, from Newlands to Groote Schuur Hospital and the Medical School precinct. As of June 1 this year, the Observatory Improvement District (OBSID) has combined with the GSCID in their security management, provided jointly by Securitas (Pty) (Ltd) and controlled directly from the GSCID control room. In addition, as part of the Residential Security Initiative (RSI), UCT is directly funding four security patrol vehicles in residential areas to ensure the safety of students, as well as the wider public, in and around campus. With the planned roll out of CCTV cameras, the University, its staff, students and the public are protected by the combined coverage of 60 security patrol staff and nine vehicles, together with the resources of four local SAPS stations.